Alaska is a true American example of contrasts; there is a lot to do and see ranging from the best of civilization to the most explicit forms of wilderness existing in North America. The snow is also breathtaking in most instances and Alaska wildlife still is the most diverse in all America. Alaska is often looked at as the great wilderness of America, a place where pioneers live to really be away from the burdens of society. Because of the very large land area and the very low population density, the beautiful landscapes are left open, making for a wonderful tourist getaway. It has some of the most gorgeous forests and a diverse population of wildlife that attracts many visitors. Bordered by both the Arctic and Pacific oceans, it also sports some beautiful views of the ocean and many prominent rivers. Alaska makes for the perfect secluded getaway. Granted, America is beautiful but all that beauty hardly compares to Alaska’s. There is no better place to watch the magnificence of snow like in the Last Frontier. Alaska also has the highest concentration of native tribes at over 200, aside from having the chance of witnessing firsthand the traditions of these marvelous people, an Alaska cruise vacation gives you the opportunity to visit the Native Heritage Center, which in itself is a fun learning opportunity. Glacier Bay, which is rumored to have taken 10 millennia to develop, is truly Alaska’s greatest treasure. The Glacier Bay National Park is a World Heritage Site that boasts 3.3 million acres of abundant wildlife, birds, and majestic towering snow-capped mountains all embedded in the backdrop of unending miles of pristine shoreline. The Mendenhall Glacier is one of the finest in the whole northern hemisphere. While a helicopter ride is the best way to see it, an Alaska cruise vacation sure breathes magic into the whole experience. Plus the glacier is right on the outskirts of Juneau, which is one of the many Alaskan ports served by cruise ships. Alaska has wide waterways that are locally called passages. These form very stunning landscape views especially against the backdrop of the bushy mountains border. Because the waterways are wide enough to permit cruise ships, the deck of the cruise ships is the best way to see them as well as take in the beauty of wildlife and the panoramic glaciers. All Alaskan ports that cruise ships dock in provide great windows into the exquisite beauty that is the Last Frontier; one of these is Ketchikan, which leads to the uniquely shaped Deer Mountain as well as numerous beautifully forested slopes. It also is the gateway to the beautiful Alaskan rainforests. You can try nature hiking in these forests or have the unique experience of gliding down the lakes on the Native American-style canoes. Juneau, another popular port, is the home to Mendenhall Glacier, one of the national attractions in Alaska. Anchorage is another port, and being the northernmost cruise destination guarantees impressive scenery of glaciers and the snowcapped mountains. Anchorage offshore activities may include taking an unforgettable ride through the snow on dog sleds or flying over snow and glaciers and landing on top of them. Other notable ports are Sitka, Seward, Homer and Skagway. For those wondering when to visit Alaska, the answer can sometimes vary. The best time to take an Alaska cruise vacation and appreciate all of its beauty without worrying about harsh weather is mid-June through mid-August. Beyond this time, Alaskan shore excursions and tours are also run through the months of May and September, making that a popular time for people journeying to the area by boat. On the other hand, if you are looking to go during off-season and are willing to endure the winter months, any time after September can be enjoyable as well. Still, if traveling by ocean is on your to-do list, the best bet is to look for a booking during the peak seasons. During the peak season, there are many affordable vacation packages offered that travel to Alaska by some of the top cruise companies. Determination of the best ship company for an Alaska cruise vacation might be tough, but with plenty of options to consider, it comes down to which one seems to best fit your desire. Some of the cruises travel from Vancouver, Canada and offer many scenic stops along the way. Others are more direct and stay close to the more urban areas of the state. 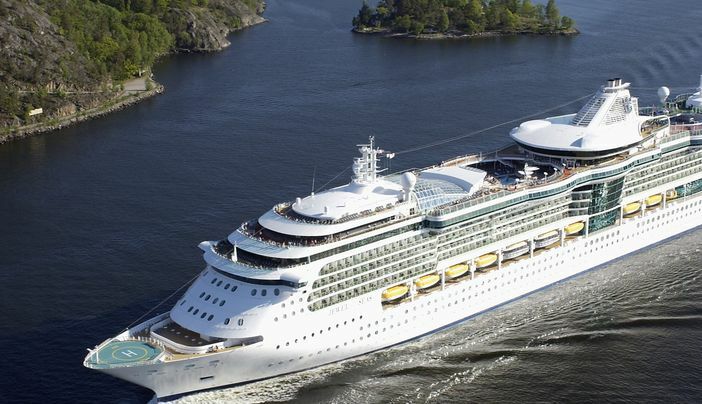 Knowing which experience you are looking for can determine which cruise line is best. Abundant offers can help you, when planning an Alaska cruise vacation, to save money while still enjoying the adventures that are in store in this beautiful state. If you plan to visit during the peak season of June through August, finding the best deals might not be so easy, but if you plan your trip on either end of this time, you can often find an Alaska cruise vacation package to fit your needs. Regardless of when you plan on going, there is no reason to wait for the getaway.